This customized portrait of my favorite playwright was created by one of my favorite collaborators and performers. Mike Pagano is a talented actor, improv comedian, and writer. He is also a visual artist, and he has a huge say over the visuals of his own shows. He’s created drawings like this of many of his heroes – rock stars, comedians, etc. 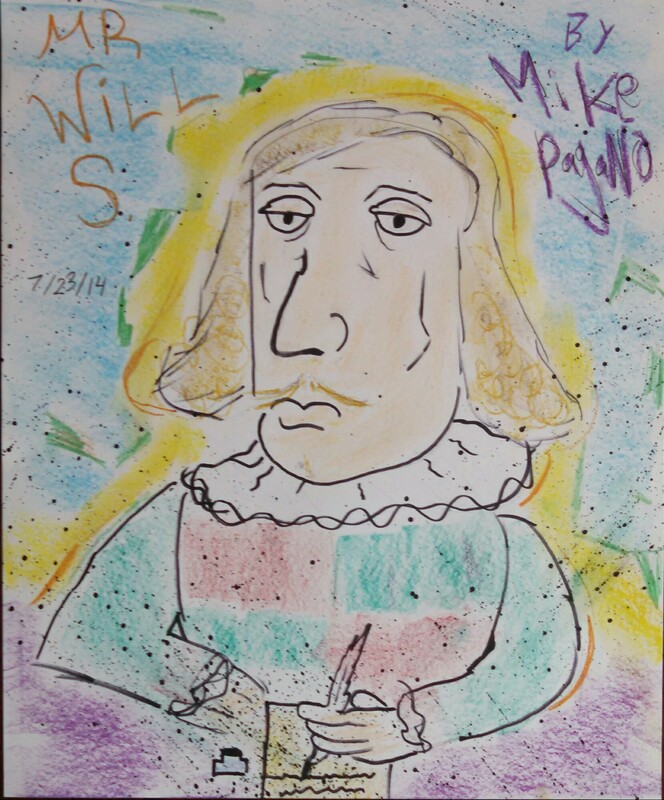 He knows that Mr. Shakespeare is one of my artistic heroes, so he surprised me with this drawing. He has a great style, and takes requests for custom work. Feel free to contact me for info.